Juniors Echo Elephant Print Baby Swing | Green | It has interactive toys to develop skills. 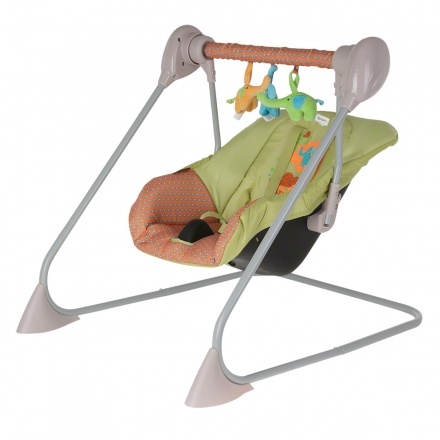 Your little one will definitely adore spending time in this lovely Echo baby swing. 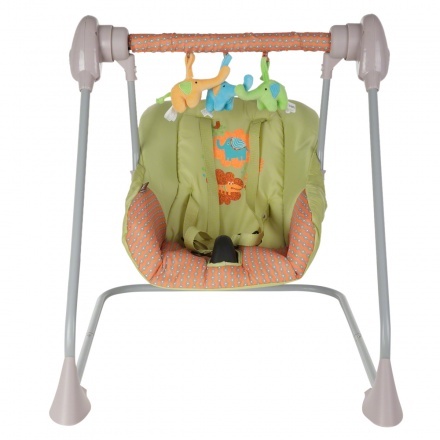 Featuring a size-adjustable harness, padded cushions and dangling play toys, it has an attractive elephant print with polka dots. Feature 1 : It has interactive toys to develop skills. Feature 3 : It has a safety harness. Feature 2 : Washable and Removable fabric.